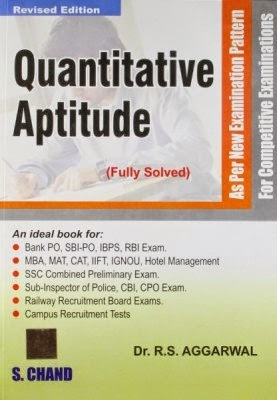 Today I am going to review best selling book for bank exams that is Quantitative Aptitude by RS Aggarwal. As per me this book is not meant for self-study. There are no shortcuts or concepts in the beginning. Author is just collected questions from previous year papers. In case you need to hundreds of solved questions then this is what you are looking for. Quantitative Aptitude by RS Aggarwal is a fantastic book for practice. In case you have just started your preparations then book is not for you.